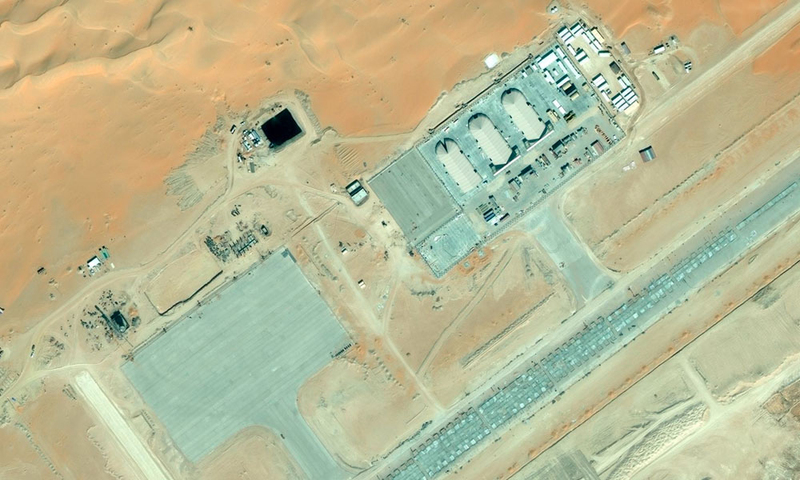 Is US Army Hiding A Secret Drone Base In Saudi Arabia? How can an airport strip appear out of thin air in a barren dessert? It is possible if you are planning on conducting secret missions. In the most barren deserts of Saudi Arabia, is buried a modern airport strip which was detected by a commercial satellite. It claims to be a “Border Guard” but is it? The airport has no planes in sight and also no government takes any responsibility of the ownership of this “facility”. Proximity to the Yemen border would make this an ideal location for drone operations. Did Google Maps satellite just happen to reveal the location of a secret U.S. military airport used to conduct drone operations in Yemen? 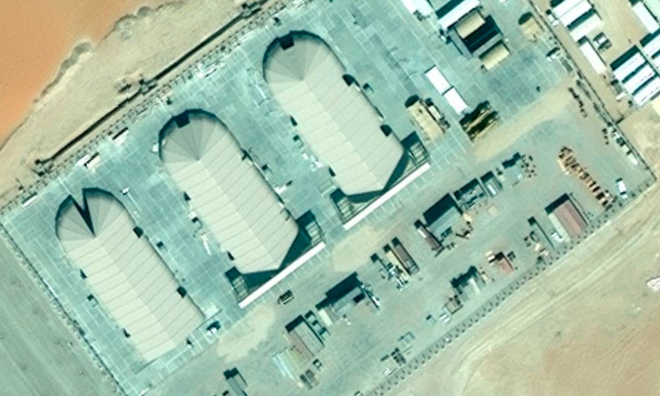 The satellite images shown may or may not be a secret US drone base. But the drone hangar is designed quite similar to the ones present in the US. The remote location, no nearest highway and no town nearby is an indication of this being more than a civilian airbase. According to some leading news agencies in the US, this drone hangar was built two years ago. Its first mission was in September 2011: a strike on Anwar al-Awlaki, the American-born propagandist for al-Qaida’s affiliate in Yemen, which borders Saudi Arabia. This was followed by dozens of drone attacks on Yemen targets. This news was kept under wraps due to an informal agreement with Obama administration. The administration claimed that if this airbase location was disclosed it may jeopardize the national security. This informal agreement was broken recently and internet was flooded with many speculations. In the images, you can see three clamshell style hangars with fencing. These hangars are sufficiently large enough to hold U.S. Predator and Reaper drones. Two of the runways are big enough to land drones or conventional light aircraft. The third one is under construction and is substantially longer and wider. The facility is growing, and it is expanding to fly much larger planes. When a commercial imaging company flew over the region in 2010 there was no base present. But in 2012 the satellite caught pictures of the airbase. This matches the news exposed by the leading news agencies. Some intelligence analysts have reviewed the pictures and are certain that this is a military base. It could be a facility used to fly drones into Yemen. So far, reaction to the Saudi base has been relatively muted. We may never know the true owner/function of this mysterious facility, but there are chances of that Russia hackers are behind the leak of its location.